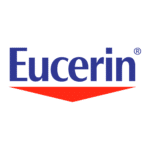 Eucerin is a world class leader in the health and beauty industry, providing high quality products to millions of people all over the globe through many different distribution channels. They have built strong brand loyalty and have been using Social&Loyal since 2013 to grow, retain and learn from their audiences. From connecting the offline and online to gathering customer data, obtaining testers, building awareness and more, this company was able to achieve audacious goals through the platform. Discover how this industry leader achieved their goals and grew their social communities by 44X and obtained a platform viral growth of over 30% by using a gamified loyalty platform.